We've listed some practical tips below that we hope you find of use. Please check back as we're planning to add additional advice on transport, travel, communications, internet and more. The Indonesian unit of currency is the Rupiah, often abbreviated to either IDR or Rp. 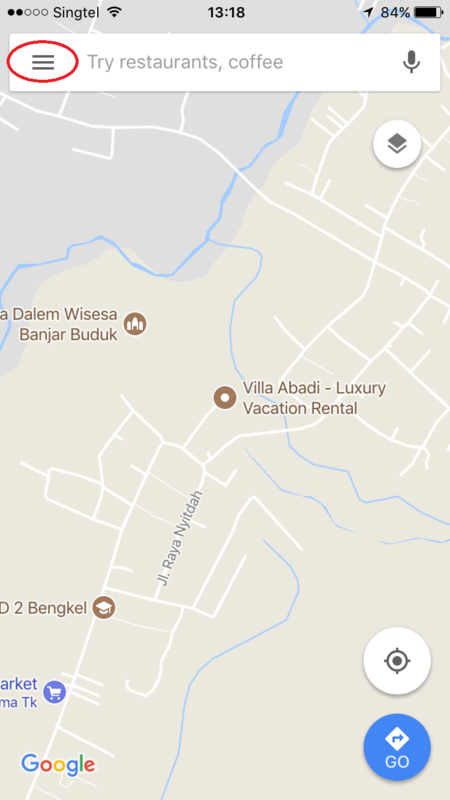 We always withdraw Rupiah from local bank cash machines/ATM's on the way between the airport and the villa. Your driver can stop for you at one of the many that you will pass. We normally use our international bank cards at BCA Bank cash machines and find that it's almost always cheaper than bureau de change or other money changers. You might have to try a few different banks before you find one that works with your card. One of the frustrations for us in Bali has been the lack of reliable and up to date mobile phone GPS apps that don't need to use lots of mobile data...really important if you're on international roaming! 1. 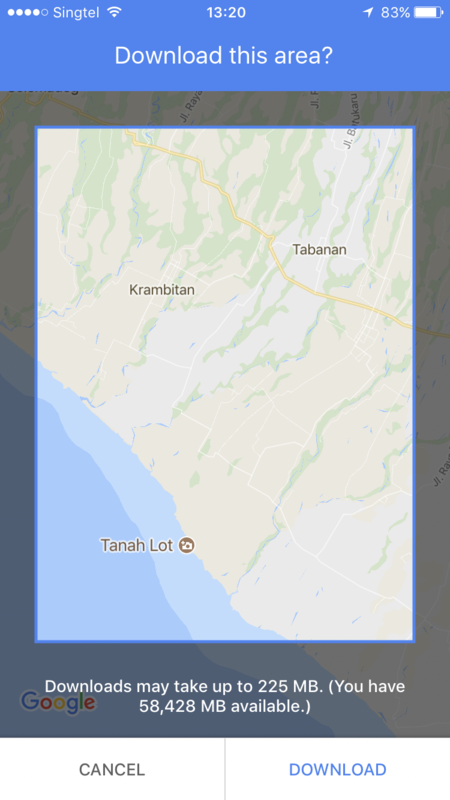 Open the Google Maps app on your phone. 2. Hit the 3 horizontal lines in the top left corner of the screen. 4. 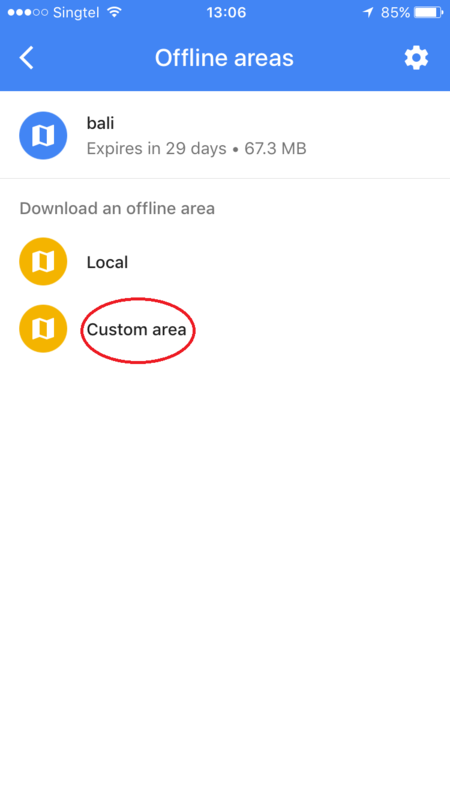 Select "Custom Area" or, if you're already in Bali, "Local". 5. 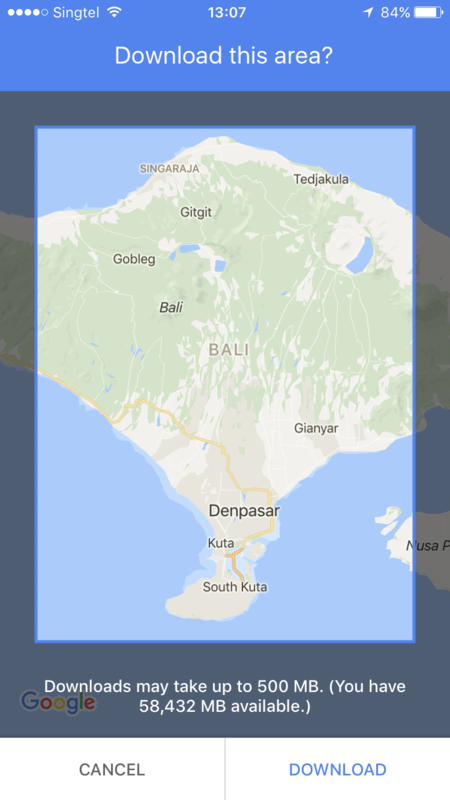 Pan & zoom the screen so that the area of Bali that you expect to be travelling in is shown. 6. Select "Download" and you're done! The download size will vary according to the size of the area that you select, but with the selection shown above including most of Bali, it's around 67MB on an iPhone. 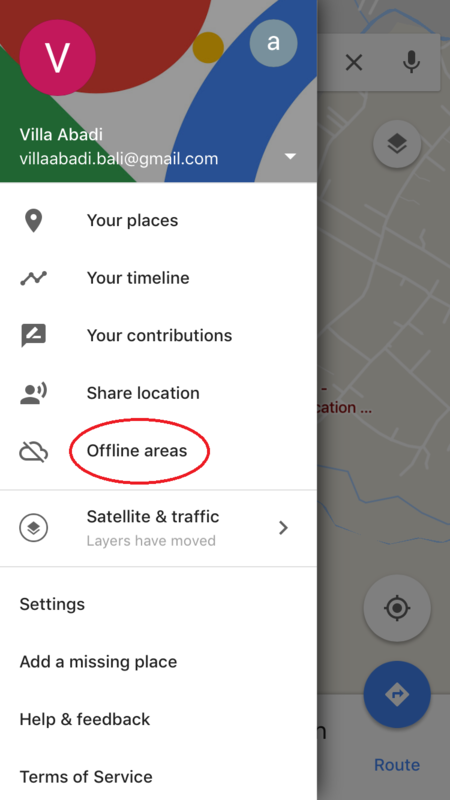 When you head out, select the Google Maps app and it will function as normal as long as you're within the areaas that you downloaded.